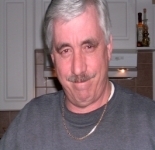 Steven Finnerty is currently living in Kettelby, Ontario,. Dear ser Do you have paypal for payment for adds on your site. This profile is owned by Steven Finnerty. Send a message to this person to delete this profile.